Most systems use a shifting clutch to change gear - Our system uses brake. The system is unique propulsion system suitable for electric motors, the system includes an innovative combination of an electric motor with a mechanical transmission with two speeds or more in order to increase efficiency and allow different capacities. The system is simple and easy to manufacture, reliable, with low maintenance level. whereas upon allowing rotation of both the first and second rotors, the output shaft is rotatable in low gearing ratio. It's simple,efficient and to use in mass production Vehicle. It's new patent ,we offer it for the first time. We want to either sell or become partners. 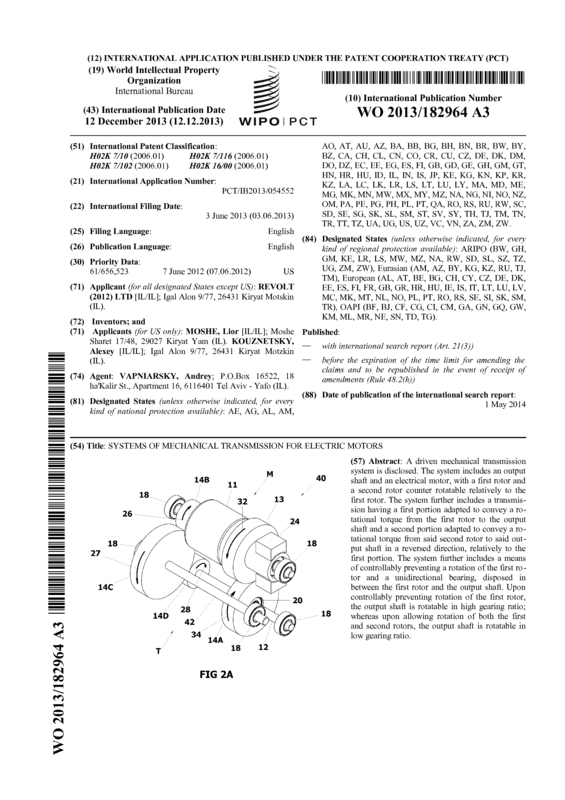 Page created at 2019-04-26 5:57:03, Patent Auction Time.